Joseph Tusiani was born in Italy, in San Marco in Lamis (FG) in the Gargano Mountain, on January 14, 1924, the son of Michael and Maria Pisone. His father had emigrated to the United States of America five months prior to his son's birth. Young Giuseppe was reared by his young mother, a seamstress who with her work enabled him to pursue his education in years of poverty, which the war had worsened. Giuseppe Tusiani obtained his Doctor's Degree in Letters from the University of Naples in July, 1947. His father, afraid of sea traveling, had never returned to Italy. Only letters had kept him in touch with his family. At the end of August, 1947, mother and son left for America, the former to join her husband after twenty-four years, and the latter to meet his father for the first time. The intended brief journey became permanent emigration. The Tusiani family was reunited in New York. In the Little Italy of Arthur Avenue, in the Bronx, the Tusianis met relatives and townspeople. For many years they lived on 188th Street, at the corner of Lorillard Avenue. Giuseppe, by now Joseph, started his teaching career at the College of Mount Saint Vincent, and subsequently joined other Universities. His brother Michael was born on August 23, 1948. The return to Italy was indefinitely postponed. Young Professor Joseph Tusiani established himself in Italian American cultural circles. 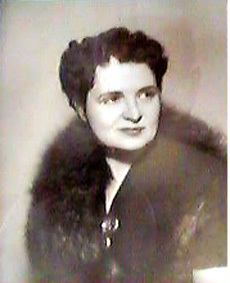 He met the writer Francesca Vinciguerra, who had changed her name to Frances Winwar. She urged him to stay away from strictly Italian American enclosures and to write in English. Together with Frances Winwar Joseph returned to Italy for the first time in 1954, and in his native town composed a long poem in English, entitled The Return, a copy of which he gave to Mrs. Winwar. A few months later, The New York Times published the news that the Poetry Society of England had bestowed on Joseph Tusiani the prestigious Greenwood Prize, for the first time assigned to an American. The recognition greatly enhanced the young professor's reputation as a poet. Thus he continued to write and publish his English poems in the most renowned American and European magazines. He achieved the rank of Full Professor at the City University of New York (Herbert H. Lehman College), at Fordham University, and was Director of the Catholic Poetry Society of America as well as Vice President of the Poetry Society of America. In 1963, he was chosen to participate in a venture called "Poetry in Crystal" (the Steuben Glass Co. had invited 31 of its sculptors to visualize in crystal the poems of the 31 best-known American poets of the time). Tusiani's poem Standstill was interpreted by George Thompson. In the same year, President Kennedy invited him to record his poetry (an hour-long tape) for the Archives of the Library of Congress in Washington. He subsequently won the "Alice Fay di Castagnola Award" for his work in progress, If Gold Should Rust, a play in verse. His most representative English poems were collected in volumes (see bibliography). He has also published two novels, one in Italian and one in English (later translated into Italian). In his poetic activity Tusiani has also employed the Latin language, starting from 1955. His Latin lyrics, published in several volumes and translated into several languages, establish Tusiani as the greatest living neo-Latin poet. He has authored 7 volumes of poetry in his Gargano dialect. After his retirement from teaching, he has written and published a three-volume autobiography, commonly referred to as his autobiographical trilogy. Another fundamental activity of Tusiani is that of translator. The list of his translations is, indeed, enormous. The Tusiani family has lived, after the first residence on 188th Street, on Tomlinson Avenue (also in the Bronx) where his father died, Oct. 1977. At the beginning of 1997, after fifty years in the Bronx, Joseph Tusiani moved to Manhattan, at East 72nd Street, only a few blocks away from the residence of his brother Michael, Chairman and Chief Executive Officer of one of the most prestigious international companies of oil mediation. His mother, so large a part of Joseph Tusiani's singular life, died on September 16, 1998. Joseph Tusiani is still active in all the languages that he has used. His literary production has been the subject of many doctoral dissertations at several Italian Universities. He comes to Italy every year, in the Spring.